The Paula Modersohn Foundation gives back to the sport of soccer via the Paula Modersohn Memorial Scholarship and PLAY Sponsorships. Paula Modersohn, who was very involved with many facets of Des Moines-area schools and soccer, passed away in 1999 after a courageous battle with cancer. In her honor, thousands of dollars have been given over the years to students/athletes who demonstrate the personal courage and commitment to helping others and bettering the world that Paula exuded and that now characterize the Sethmode brand. Paula was born and raised in Oskaloosa (Osky), Iowa. She graduated from Drake University with an art degree and married fellow Drake student Bob Modersohn. When Paula was growing up in Osky, there were few opportunities for girls to compete in team sports. But at Drake, she ran track her freshman year and played volleyball as a club sport all four years. She stuck with volleyball even after college, playing on traveling women’s power volleyball teams and winning an Iowa Games Gold Medal with a group of over-30 age women. Paula signed up her elementary-age sons for a soccer club in the mid-1980s. 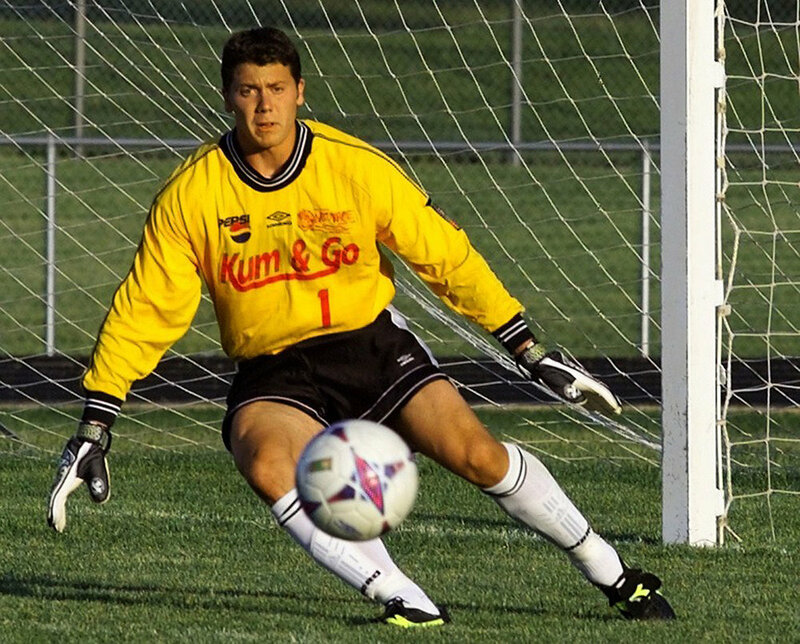 She was involved in the organization of the earliest soccer clubs in Des Moines, helping build membership, procuring fields and even coaching the sport. 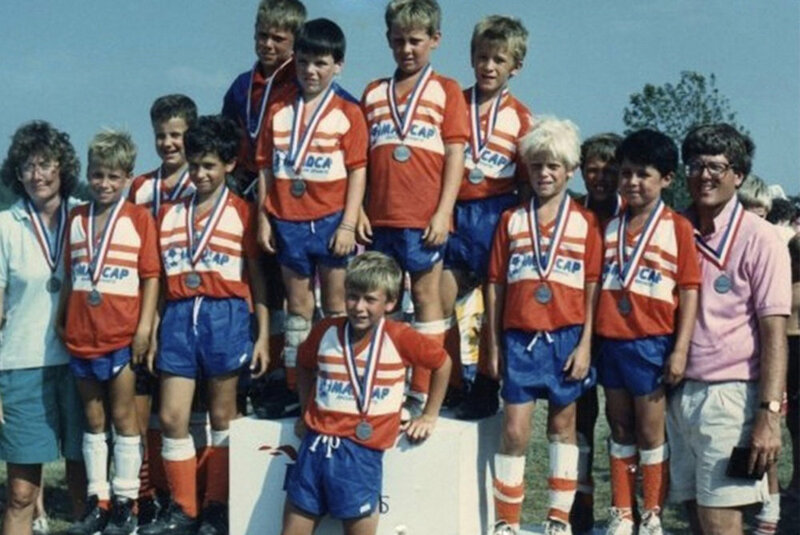 She never played soccer herself, but with help, she took an under-8 boys team (which included son Mark) all the way to an Iowa Games championship. A few years later she coached a group of under-12 girls to an Iowa state club championship. Her coaching approach, especially with the youngsters, was more about using common sense and learning fundamentals than practicing complicated strategies. Her focus was on keeping soccer fun, a way for kids to stay healthy and learn to work and play together—skills they would need for life. 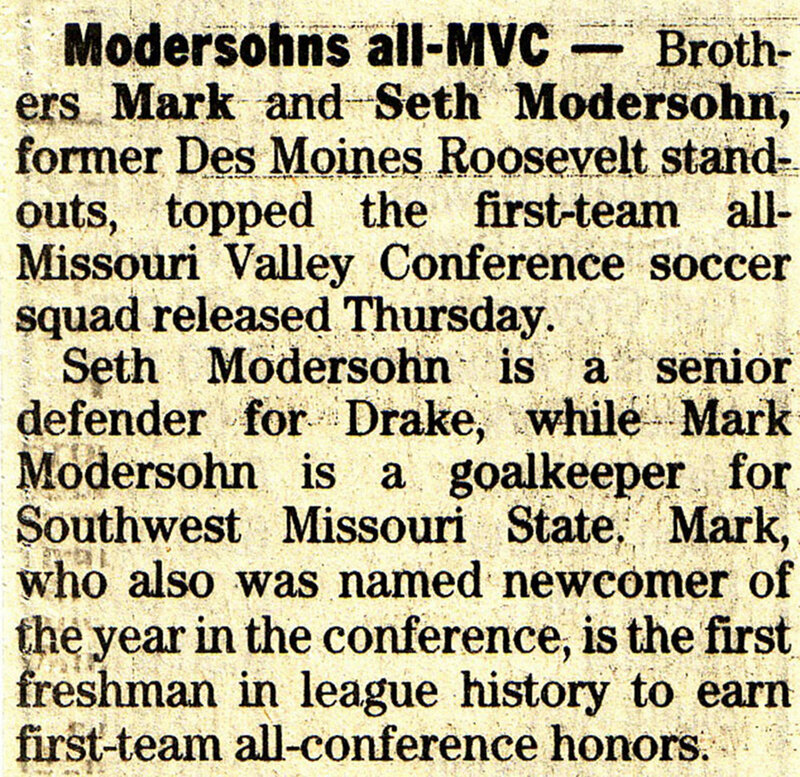 The Paula Modersohn Memorial Scholarship is an annual financial award given to a graduating senior who is a soccer letter winner from Theodore Roosevelt High School (Des Moines, Iowa). The student athlete must be in good standing with the community and must have been accepted to a college, university or vocational school. 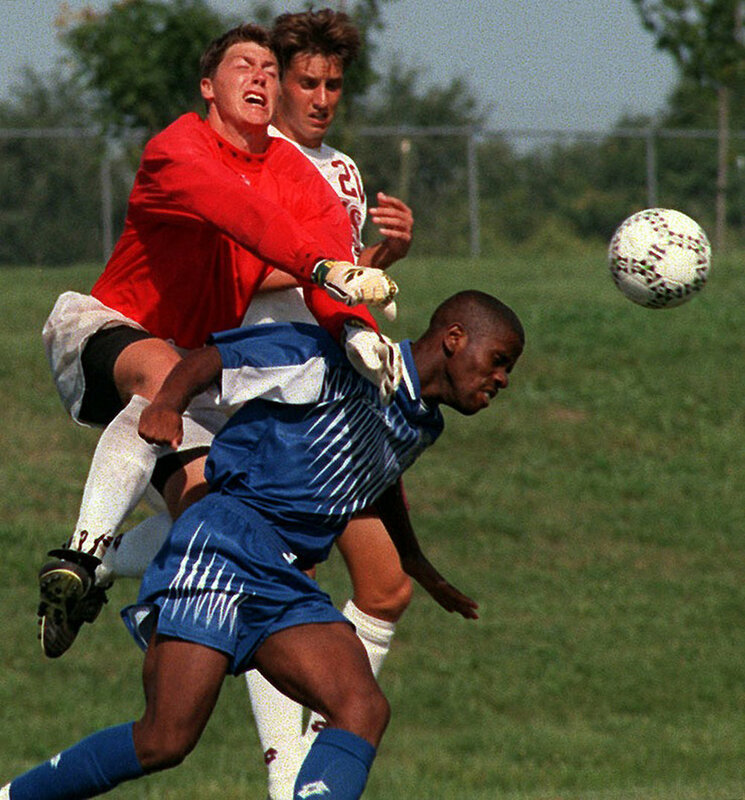 Both Paula’s sons, Seth and Mark, were leaders in soccer at Roosevelt and still cherish those playing days. They went on to have successful college careers in the classroom and on the field. With this financial award, Seth and Mark hope to help deserving high school soccer players further their education and gain success and confidence from playing college-level soccer. PLAY (Player/Program) Sponsorships provide financial assistance to low income families and communities. Soccer is the world’s most popular sport. It brings people together from all different racial, ethnic and socioeconomic backgrounds and teaches life’s most important lessons. However, soccer in the US is a sport for the privileged and doesn’t reach inner cities or poorer areas. This needs to change, especially if we want to be more competitive on a global level. A stronger effort needs to be made with (advanced) outreach programs to help increase soccer exposure and opportunities!